This Pull Apart Pizza Braid is a mouthwatering party appetizer that’s perfect for dipping with epic cheese pulls! This snack is ready in about 30 minutes with only 5 ingredients using refrigerated pizza dough — a hit with both adults and kids alike. Plus video tutorial! 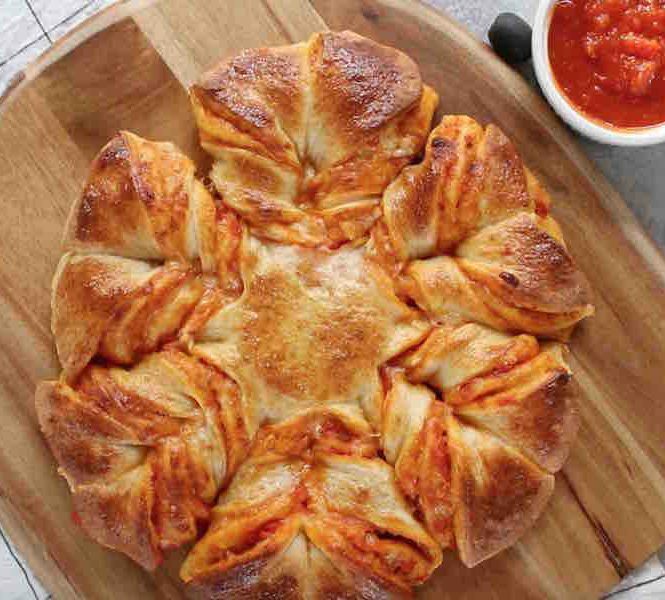 This pizza bread recipe is part calzone and part stromboli, but the difference is that it’s an appetizer made for sharing. 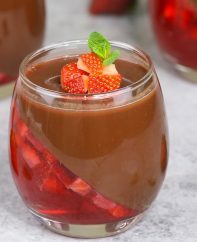 See why this recipe has been pinned more than 200,000 times on Pinterest and got more than 6 million views and 60,000 likes on Facebook! 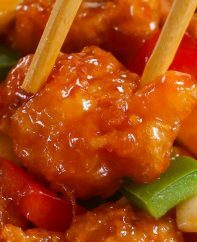 While this recipe has Game Day written all over it, we’ve also served it for pizza night, cocktails, kids birthday parties and many occasions in between! The best parts? The drool-inducing aroma wafting out of the oven, and guests vying for position to get the best cheese pull! It’s also a good idea to have a dipping sauce. 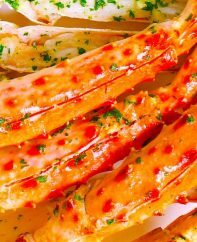 The easiest option is using additional marinara sauce, but you can also try ranch sauce, garlic sauce or other faves. Cut the circle into quarters using a paring knife, leaving about 3 inches in the middle uncut. Cut each quarter into thirds. Twist adjacent sections in opposite directions two full turns. Repeat the twists for the other sections. That’s it! 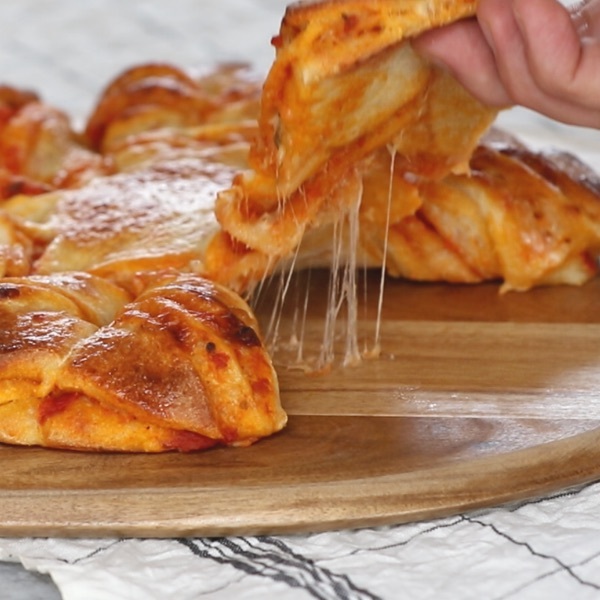 You can use any leftover dough to make a few pizza bombs to go on the side. 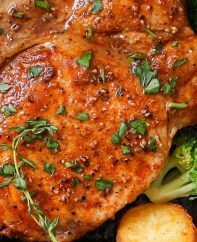 You can add pepperoni or sliced ham to make a meat-lovers version. If using bacon, pre-cook it first. You can roll up any leftover dough/sauce/cheese layers into balls to make pizza bombs for the side. 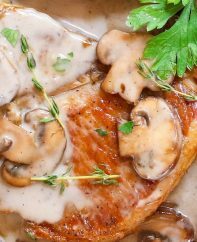 Bake in the middle of your oven to get it golden brown without burning. Keep in mind each refrigerated pizza dough has different baking instructions, so check the package and adjust if needed. Use part-skim mozzarella cheese and low-sodium marinara sauce to make this recipe healthier. 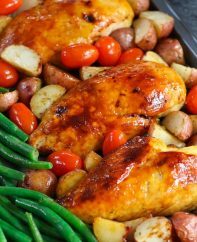 To keep it warm before serving, leave it on the baking sheet and cover with foil. 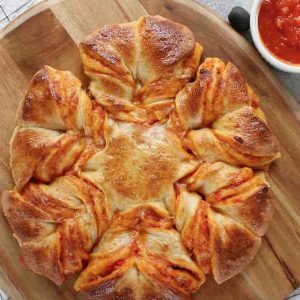 This Pull Apart Pizza Braid is the perfect party appetizer: delicious, perfect for dipping and with epic cheese pulls! This snack is ready in about 30 minutes with only 5 ingredients using refrigerated pizza dough. It's a hit with both adults and kids alike. Plus video tutorial! Preheat oven to 400ºF. Set aside a large baking sheet. Place a large piece of parchment paper on a work surface. Open a can of refrigerated pizza dough and place onto parchment. 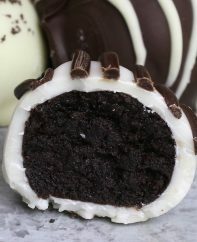 Invert a 10-inch round cake pan or plate and press down lightly to make a circular outline. Remove pan/plate and spread half of the marinara sauce evenly within the circle. Add half of shredded mozzarella and optional pepperoni slices. Place another pizza dough on top and repeat the previous two steps. Cover with the third pizza dough. Put the cake pan/plate on top and use a sharp knife to cut away excess dough from the edges. Place a small 3-inch bowl upside down in the middle. Working from the bowl outward, cut the dough circle into 12 equal parts while leaving the center intact. Grasp adjacent petals and gently twist 360 degrees twice in opposite directions using your fingertips. Repeat the twisting for the remaining sections. Then carefully lift the parchment paper onto the baking sheet. In a small bowl, beat eggs with water. 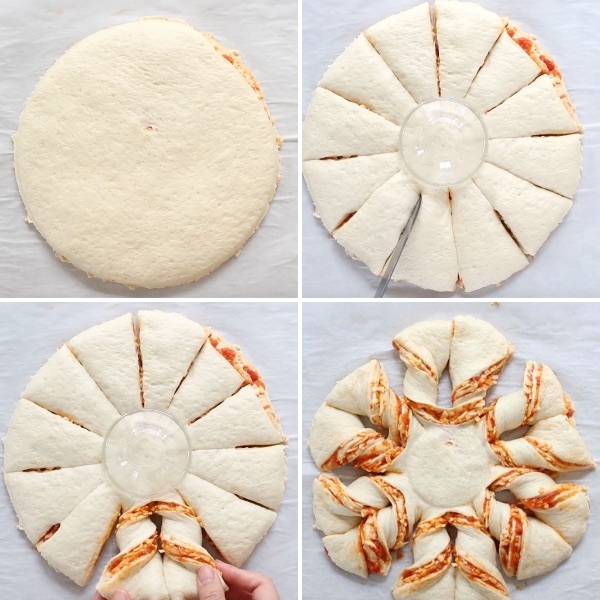 Brush the pizza star evenly with it. Bake in the middle of the preheated oven for 20 min or until brown and puffy. 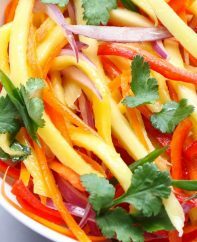 Serve with optional dipping sauce and enjoy! Keep in mind each refrigerated pizza dough has different baking instructions, so check the package and adjust the oven temperature or baking time as needed. 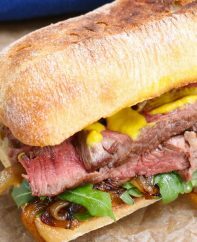 Editor note: Published Jan 19, 2017 with the post and recipe updated Sept 8, 2018.